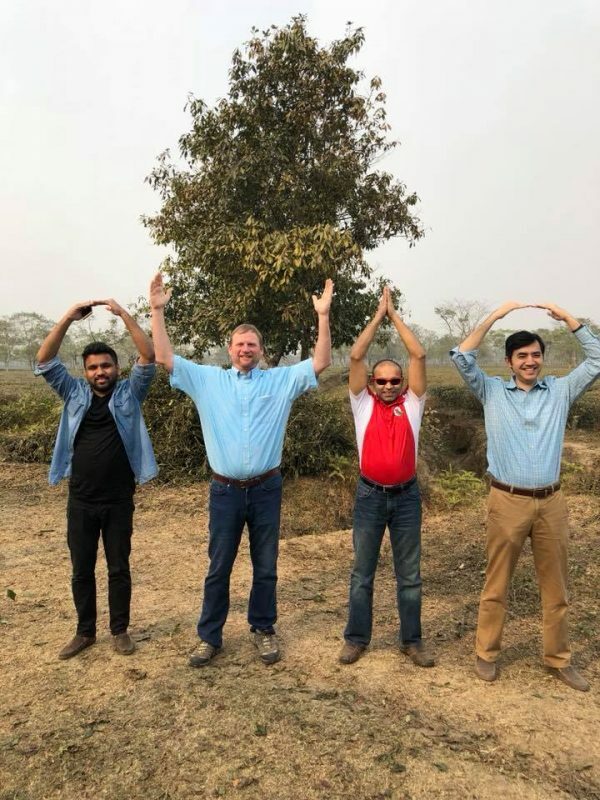 A buying team led by Founder and President Greg Ubert recently visited Kazi & Kazi Tea Estate Ltd. in Bangladesh to explore a sustainable new source of teas. Teas and herbs grown on the plantation hold Fair Trade, Rainforest Alliance and USDA Organic certifications. Greg and 7 Steps Trainer Steve Bayless were accompanied on the trip by Senior Director Zia Ahmed and Assistant Director of the Ohio State University, Office of Student Life, University Dining Services. Crimson Cup teas and coffee are served on the university’s campus.